Animation is an amazing tool that allows you to present new or complicated ideas in an easy to understand way. Be it a slick infographic style or a combination of text and imagery to reinforce your message, we can create it all. 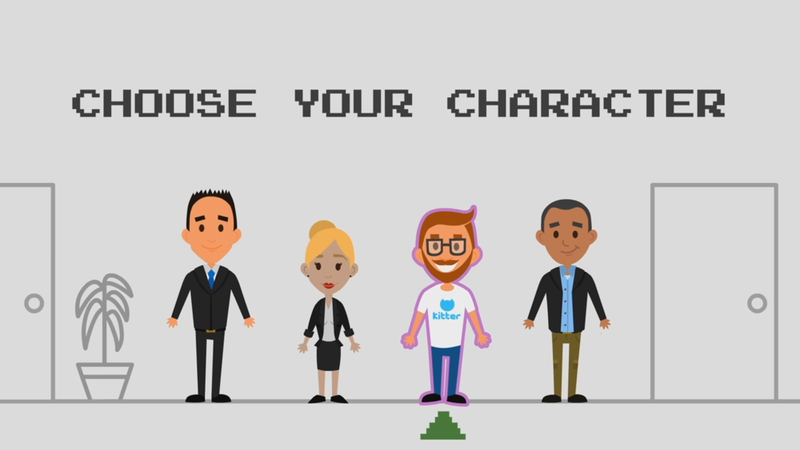 We can even transform you and your team into a friendly, eye-catching character animation, to say hello to your online visitors and followers. With over 9 years’ experience creating fun and engaging content for a range of clients, we can provide you with an animation to suit your needs. We cover all animation, right from web, to film and TV. Have a look at our showreel to see what we can do! Whether you need a refresh, or if it’s a rebrand you’re after, we can create animations that will make your business stand out. We’ll happily work within your brand guidelines to give you an exciting makeover. Many businesses face a dilemma when deciding how to present themselves. Masses and masses of text will only leave the audience falling asleep. Animation allows you to present new or complicated ideas in an easy to understand way. Slick infographs, text and imagery, and character animation are some of the styles of animations that we create here at Steff Lee Studios – all engaging, exciting and unique to you. Add a bit of Oomph! to your animation and bring it to life with top quality voiceover and sound design. We have over 5 years’ experience creating animated content for primary and secondary education. We understand that keeping a student entertained can be a challenge, which is where we come in and take your stress away. Having worked with educators in the US and UK, on a variety of subjects, including Literacy, Maths, Science, Languages and History, we can create fun and engaging animation tailored specifically to your target audience. We can also create and develop e-learning content for corporate trainings i.e. e-learning videos for your website, blog, YouTube channel, tutorials, trainings and promotions. With experience managing and directing animation productions (including script writing, storyboarding, animation, editing and sound design), Let us turn your idea into a reality. So if you have a story to tell, please get in touch.